SprayTech Aus is a new and innovative aluminium window and door repainting and recolouring company based in Brisbane that services the Gold Coast, Sunshine Coast and greater Queensland. 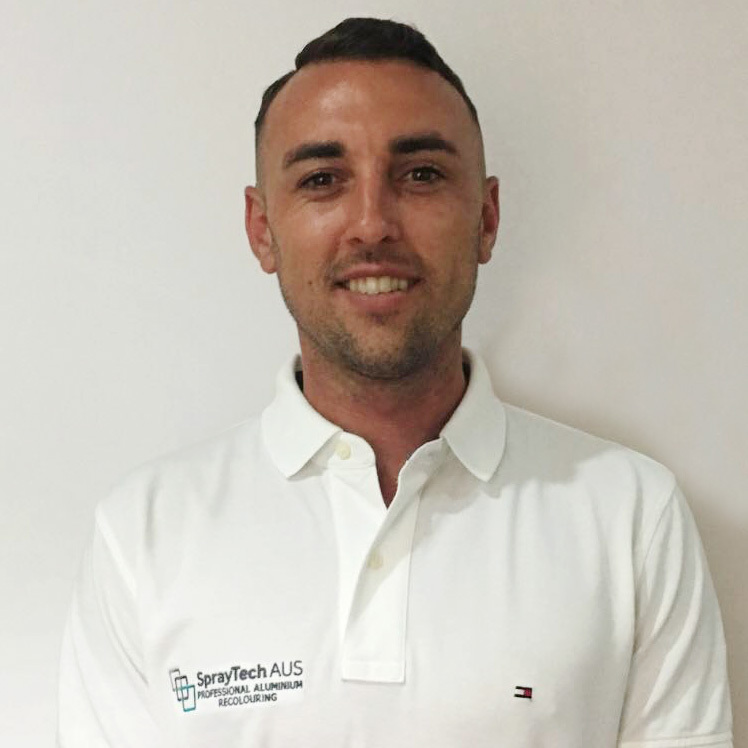 Founded by principal owner Josh Hughes, SprayTech Aus is built on the back of almost a decade of experience in automotive refinishing. This uses many of the same techniques as aluminium window and door recolouring and repainting. SprayTech Aus is driven by a pursuit of high quality and even higher value for money. We have grown a reputation for delivering the highest quality of aluminium recolouring for joinery, windows, and doors. We also repaint and repair aluminium joinery, matching or enhancing your décor and strengthening your fixtures. and we always aim to exceed your expectations. Older style aluminium joinery is powder coated or anodised, which can look unsightly over time. We can perform complete colour changes and recolouring that we guarantee will last. We perform all aluminium repainting work with a special 10-year warranty for greater peace of mind. SprayTech Aus services both residential and commercial clients, and can perform roller, hinge, or flyscreen mesh replacements as part of a complete refurbishment of your aluminium windows or doors. SprayTech Aus is fully insured and qualified with all the correct tickets and certifications for operating an aluminium repainting service in Queensland. For the best in aluminium window and door repainting and recolouring, you can trust SprayTech Aus. Shabby commercial properties are just not attractive, check out our latest blog. SprayTech Aus’ professional aluminium painting and recolouring service gives your commercial property a total makeover. Contact SprayTech Aus on 0421 765 339.